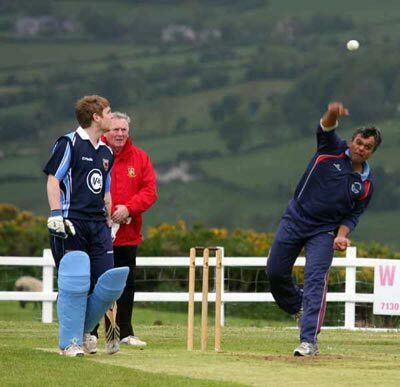 Ballymena have announced the return of all-rounder Kaushik Aphale for the 2019 season. The 40 year-old has been a prolific performer for the Eaton Park club and also Derriaghy in over a decade as an overseas player in Northern Ireland. He was unable to play last season due to new regulations, but these have been relaxed and the affable Indian will be back playing once again. In 101 senior matches at Premiership level, he averages 46.90 with the bat, scoring 30 fifties and seven hundreds. In addition the off-spinner has taken 106 wickets at 24.29, with a best-bowling return of 5 for 6 against Lisburn. His return to Ballymena was welcomed by the club on Twitter who said: "We are delighted to confirm that Kaushik Aphale, "Alphie", is returning to the club for the 2019 season. "Alphie has been a top performer for the club in the past and we look forward to welcoming him back to Eaton Park!"